Please read these terms and conditions (these ‘Terms’) carefully as they contain important information about your rights and obligations when using this website (the ‘Website’) and in particular clause 11.6 and 11.7. You should print a copy of these terms for future reference. We, Blossom Patch Ltd (trading as Blossom Patch Nursery and Blossom Learning Consortium), own and operate this Website. We’re a limited company registered in England and Wales under company number: 10049712 having our registered office at 101a Eltham High Street, London, SE9 1TD. Our business address is Beech Avenue, London, W3 7JZ. 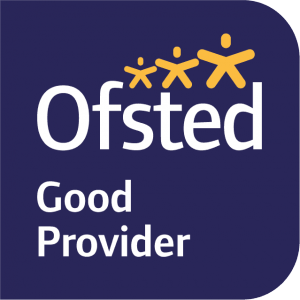 We are a member of Ofsted, a regulated professional body. We can be identified on the register by our registration number EY497642. We are regulated by Ofsted. The professional conduct rules and regulations can be found at https://www.gov.uk/government/publications/framework-for-the-regulation-of-provision-on-the-childcare-register/regulation-and-inspection-framework-for-services-on-the-childcare-register. 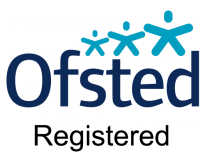 We subscribe to the Ofsted’s code of conduct which can be found at https://www.gov.uk/government/publications/framework-for-the-regulation-of-provision-on-the-childcare-register/regulation-and-inspection-framework-for-services-on-the-childcare-register. 4.1 In these Terms, Intellectual Property Rights mean copyright (including design copyrights), trade marks, patent, database and other intellectual property rights and similar proprietary rights which include, (without limitation), all rights in software, design, materials, works, techniques, computer programs, source codes, data, technical information, trading business brand names, goodwill, service marks, the style or presentation of the goods or services, creations, inventions or improvements upon or additions to an invention, confidential information, know-how and any research effort relating to Blossom Patch Ltd (trading as Blossom Patch Nursery and Blossom Learning), moral rights and any similar rights in any country (whether registered or unregistered and including applications for and the right to apply for them in any part of the world). 14.2 Each of the sub-clauses of these Terms should be considered separately. If any of these Terms are found to be unenforceable, invalid or illegal, the rest of these Terms will continue to have full effect. 14.3 These Terms are in English only. 14.4 We will not lose our rights under these Terms by reason of any delay by us in enforcing those rights. We will not be bound by any agreement not to enforce our rights under these Terms unless we have agreed not to do so in writing. 14.5 Any delay by us in enforcing our right, non-enforcement of our rights or agreement not to enforce our rights in respect of one breach by you of these Terms will not prevent us from fully enforcing our rights in respect of any other breach by you of these Terms. 15.1 The Website is controlled and operated in the United Kingdom. 15.2 If you are a business, these Terms are governed by the laws of England and Wales and the courts of England and Wales shall have exclusive jurisdiction over legal proceedings in connection with your use of the Website, any breach of these Terms and any question in connection with the interpretation or application of these Terms. 15.3 If you are a consumer, these Terms are governed by the laws of England and Wales and you can bring legal proceedings in the courts of England and Wales. If you live in Scotland you can bring legal proceedings in either the courts of Scotland or England and Wales. If you live in Northern Ireland you can bring legal proceedings in either the courts of Northern Ireland or England and Wales. If you live in another country in the EU, you can bring legal proceedings in either the courts of your home country or England and Wales.